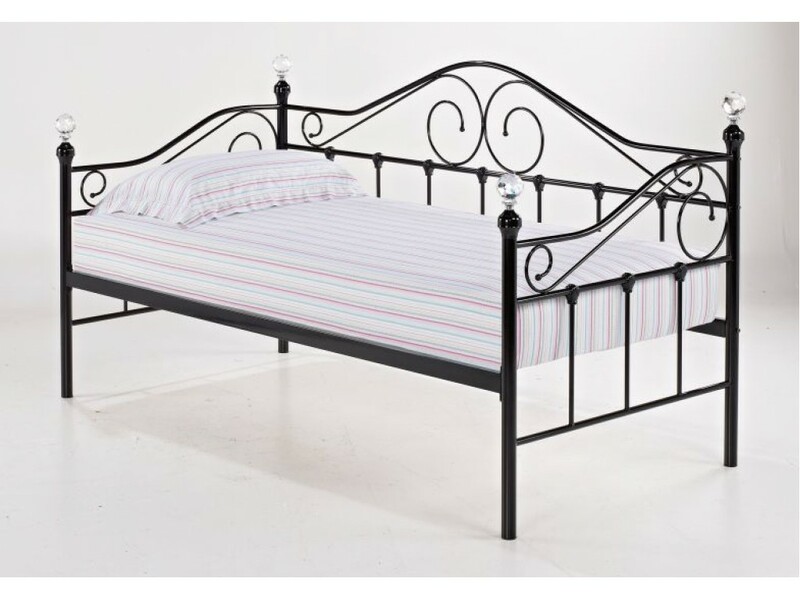 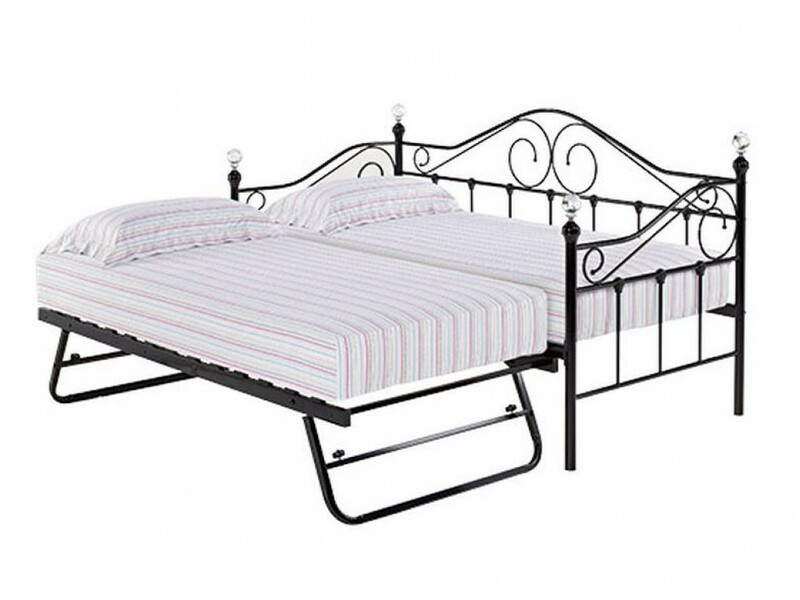 The Florence Black 3ft single Day bed is inspired by the retrospective trend in metal beds for a more traditional designs, the Florence with its beautifully swirl pattern and crystal finials on the bed posts make this bedframe both practical and pleasing on the eye. 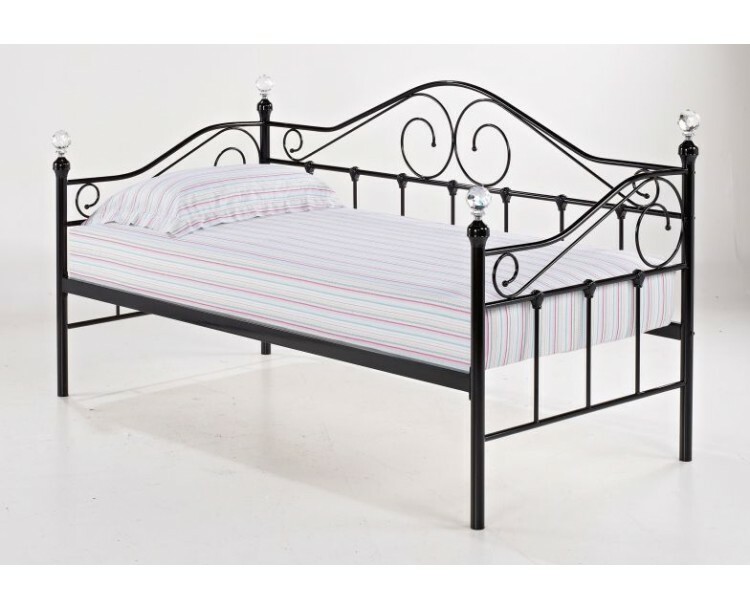 The Florence Day bed is also available with matching pull out trundle bed, which is perfect for when guests come round to stay. 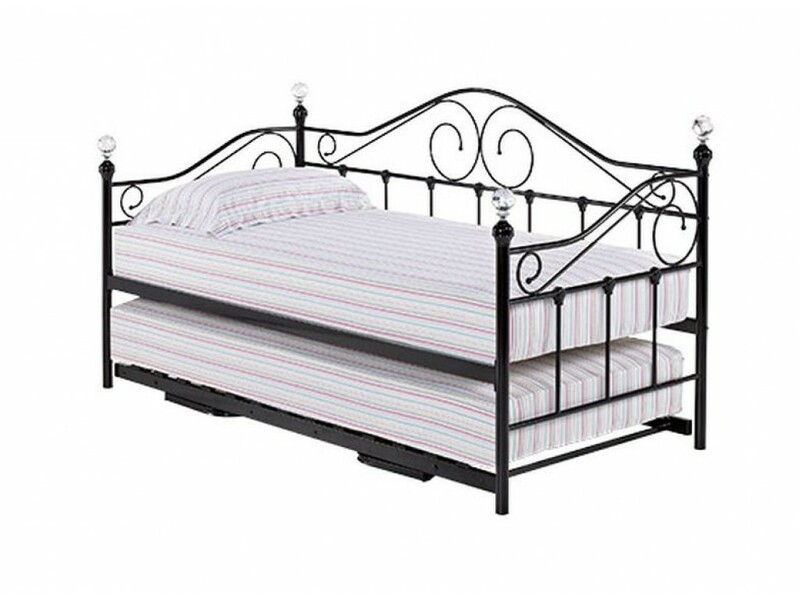 Our deliveries to England, Wales and selected areas in Scotland will be done via our third party national delivery service, all other areas please see our Terms & Conditions for more information or Contact us.